High Blood Pressure Symptoms - Is it an emergency? 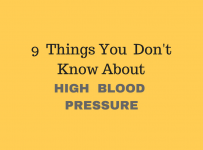 The onset of high blood pressure is usually without symptoms. 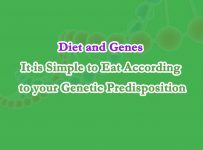 On the contrary, many patients may argue that they feel fine and the diagnosis is made incidentally either during a routine health check or an occasional blood pressure measurement at home. According to the American Heart Association (AHA), recurring headaches are not a symptom of high blood pressure. Many people with high blood pressure claim that recognize a pattern between a waking up headache and blood pressure spikes in the same time. There is much debate whether headache is a result of high blood pressure or simply occurs side by side with it. Both conditions are very common and hence many people with high blood pressure it is possible to suffer from simple headaches unrelated to high blood pressure. However sudden onsets of headache are not overlooked by most people and because it is an alarming symptom of many conditions, it is a common reason to see a doctor and eventually come up with an incidental high blood pressure reading. Do I have Headache because of High Blood Pressure? Dizziness and headache may frequently accompany a blood pressure spike. There is much controversy about headache related to hypertension, although certain studies confirm this association. It is believed to be linked to stretching of the arterial walls by the volume of blood passing through them. Nausea, palpitations, nosebleed, blurred vision and high blood pressure may be symptoms of a hypertensive crisis which is an emergency. Call your doctor immediately. Headache during hypertension is described by the patients as pulsating and occurs early in the morning. Occasionally it may be accompanied by slightly blurred vision. The symptoms have mild intensity and fade out completely several minutes after waking up. People with chronic, mild to moderate high blood pressure, usually recognize them as a pattern, because they experience such symptoms frequently. However sudden onsets of headache are usually not overlooked by most people and because it is an alarming symptom of many conditions, it is a common reason to see a doctor and eventually come up with a high blood pressure reading. There are many research studies that have investigated headache as a symptom of hypertension. In such studies patients are asked about the time of the day that headache appears, when was its first onset, the location of headache and if they have other diseases. Many of the patients with high blood pressure claimed to experience a predictable type of waking up headache that subsides after taking their medication. 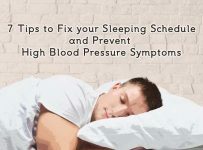 In most of the studies is pointed out that many people with high blood pressure will eventually have other diseases like sleep apnea and anxiety that would contribute to the appearance of headaches. The high incidence of psycho neurotic symptoms in patients with high blood pressure could be responsible for their headache. In fact, people who most frequently complain of headaches during blood pressure rises are those who already know their diagnosis. I have mildly elevated blood pressure. Do I need medication? Life style changes in that case, are more beneficial than drugs, if the only health problem you have is high blood pressure. Keep in mind that very low systolic pressure is bad for elderly people because of the risk for ischemic stroke. Atherosclerosis causes loss of blood vessel elasticity rendering them stiff and narrow so less blood goes to the brain and other organs. And while young adults have adaptive mechanisms to deal with this, elderly people do not. One of the bad consequences of this could be an ischemic stroke. High blood pressure alone is not a reason for chest pain unless there is an underlying condition. Coronary artery disease: Coronary artery disease results from damage of blood vessels which supply the heart muscle. During high blood pressures the heart muscle pumps strongly, increasing its oxygen needs which cannot be met. This causes heart pain the so called angina. Aortic aneurysm: Aorta is a big hollow tube that transports oxygenated blood from the heart to the body. Blood that flows through under increased pressure, stretches the walls of aorta resulting in a bulging portion called aneurysm. Rest in bed for 15 minutes. Measure again your blood pressure in an upright sitting position. If your readings are the same, check again after 30 minutes of minimum activity. If you regularly use any blood pressure medications, check if you have missed a dose. Take your medication as soon as you remember it, unless your next dose is near so you can skip the missed one. Avoid caffeinated beverages including tea. Do not self medicate: It is not a good idea to use any medications even holistic, without doctor’s advice. Beware of any other drugs that you have already taken. For instance certain painkillers and anti-inflammatory drugs could increase blood pressure. 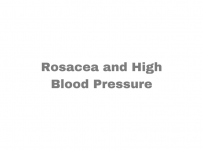 If you experience high blood pressure with severe headache, nose bleeding, blurred vision and/or palpitations. If you have high blood pressure together with chest pain, low back pain or stomach pain. If you are pregnant and you notice high blood pressure. It could be a sign of a potentially fatal condition called pre eclampsia. It is frequently accompanied by decreased urination and leg swelling. If you have high blood pressure together wth jaw pain. If it is the first time you notice blood pressure readings above the normal. Keep tracking of your previous measurements. 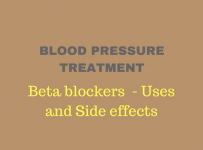 If you are on blood pressure medications and you notice lip swelling. It could be a side effect of medications called angioedema. If your blood pressure is above 170/80mmHg even if you do not have any symptoms. Headache and hypertension.Cortelli P, Grimaldi D, Guaraldi P, Pierangeli G. Neurol Sci. 2004 Oct;25 Suppl 3:S132-4. WebMD – Causes of high blood pressure.